What will you remember when you look back at JiveWorld14? Will it be the Jive Award winners, the emotional poem from Azure Antoinette, the closing festivities or one of the 50 breakout sessions, like the one from Jive Partner and Silver Sponsor Pokeshot///SMZ’s product guru Nils Heuer on “Jive as a development platform”? Everyone will have formed their own impressions and will sort these out in the coming weeks and months. Whatever your recollections and takeaways are, JiveWorld absolutely lived up to this year’s motto – Connect. Communicate. Collaborate. Now that JiveWorld14 has passed as fast as it had come, we – as both a Silver Sponsor of the event and an official Jive Partner – are also naturally asking ourselves what this year’s highlights were and what new things did we learn. For us, it was one of the few times in the year in which it’s possible to discuss and share ideas and experiences about Jive, communities, use cases and business needs in a fun and relaxed atmosphere. Our colleagues who participated in the conference – Stephan Müller-Ziebur, Nils Heuer und Kristina Johannsen – hope that they were able to assist you with the information and insights they provided about products and solutions such as the social learning management solution SmarterPath and the translation management solution for multi-language support. We, of course, also took advantage of this opportunity to learn and listen how we can make our solutions even better in the future – in order to take every community a step further and make user experience more engaging and enjoyable. We at Jive Partner Pokeshot///SMZ look back at JiveWorld14 with mixed feelings. On one hand, we gained many valuable insights and had extraordinary experiences. The conference was exceptionally well-organized, like in previous years. But, unfortunately, the next JiveWorld will not take place until March 2016. Yet some of the larger Jive user groups are planning to hold a Jive UnConference in 2015. We look forward to sponsoring the Bay Area UnConference and hope a similar event takes place in Europe as well. Patrick Fähling graduated with a master’s degree in business informatics at the beginning of 2013 and then spent a half-year-long stint working as a social business consultant at a large digital solutions agency in the UK. 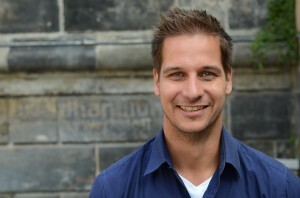 He has returned to Berlin to strengthen the Pokeshot///SMZ team as a Junior Consultant for Social Business Strategy.